Looking for tools to help you develop content? These quality check tools enable you to review the model (e.g. nested groups, model size) and remove any unnecessary lines, marks, etc. before you upload the model into 3D Warehouse. 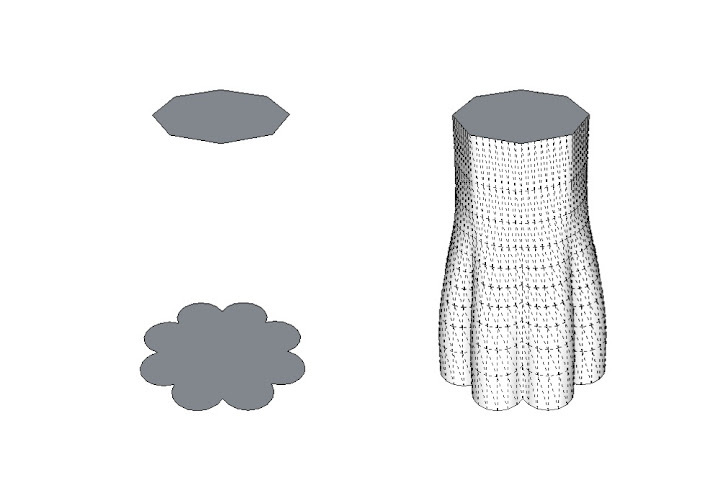 MeshWrapper enables you to create a hollow mesh around an existing object simplifying a highly detailed manufacturing model. It also includes tools to easily close any gaps in the mesh. The CleanUp³ tool helps you clean your imported models, e.g. erase hidden geometry and duplicate faces, repair split edges, put geometry to Layer0. 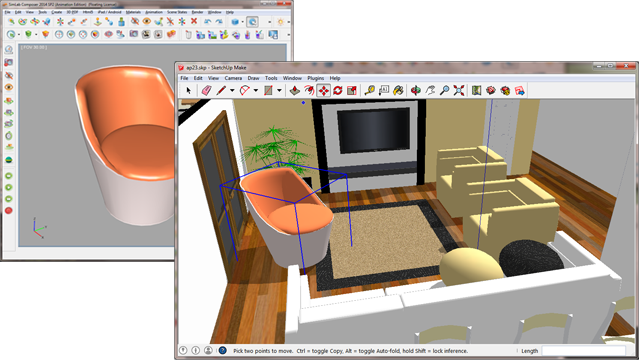 PolyTrans-for-SketchUp runs independently of SketchUp to cross convert between all the major 3D CAD, DCC/Animation and VisSim file formats (e.g. SolidWorks, ProE/Creo, Inventor, DWF-3D (for AutoCAD, Revit, NavisWorks and Inventor), IGES solids, STEP solids and JT into SketchUp). SketchUp supports importing many file types (read more about Importing a file from another program into SketchUp), but you need to install a separate tool to include .stl import support. A tool that you can use to extrude one 2D profile such that it ends in another different 2D profile. 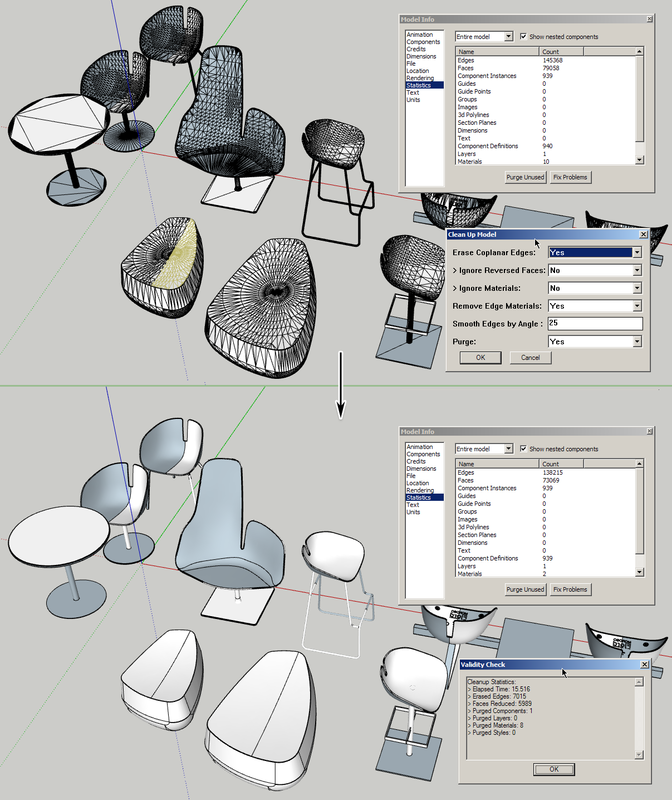 Vertex tools enable greater control when modeling organic shapes. QuadFace tools can help with projecting a 2D image (e.g. furniture texture) onto a 3D model (UV mapping).